Each capsule treasures the finest origins, masterfully blended and roasted to bring only the true espresso Made in Italy to your cup. 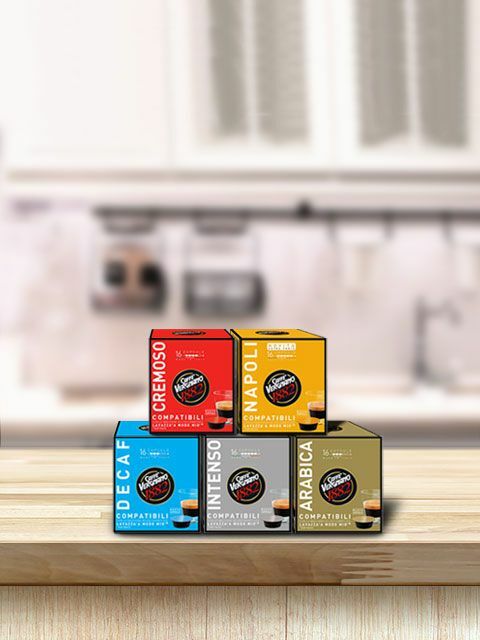 From slow roasting, according to tradition, to the capsule in a variety of flavours to satisfy all palates. 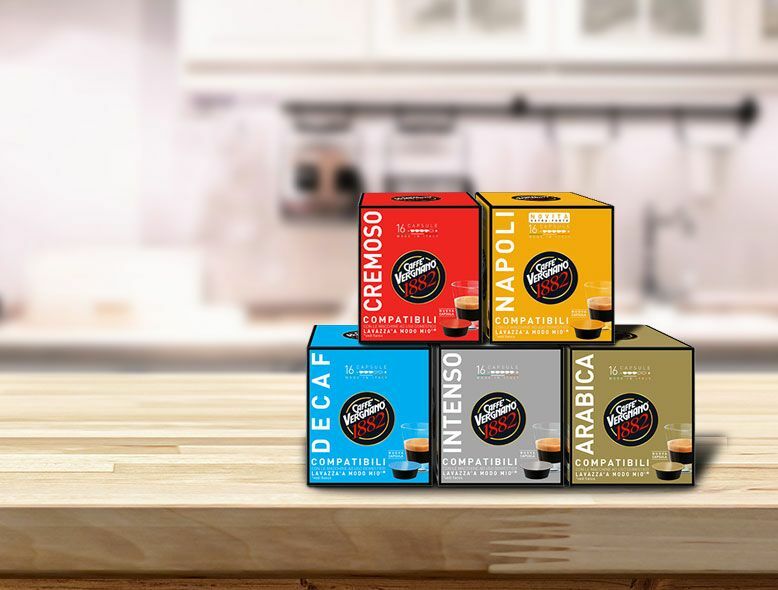 * These capsules are compatible with the following LAVAZZA® A MODO MIO® home machines: JOLIE, PICCINA, ESPRESSGO®, ÉSPRIA, FAVOLA EASY, FAVOLA PLUS, FAVOLA CAPPUCCINO, MAGIA®, MINÙ®, SIMPLA®. LAVAZZA®, A MODO MIO®, LAVAZZA A MODO MIO®, ESPRESSGO®, MAGIA®, MINÙ®, SIMPLA® are trademarks registered and owned by Luigi Lavazza S.p.A.. Casa del Caffè Vergnano S.p.A. is an independent Company not connected, neither directly nor indirectly, to Luigi Lavazza S.p.A.